To read my reviews of the two episodes leading into this one, click on the following links: “Face the Raven” and “Heaven Sent”. Doctor Who finales these days tend to follow a certain pattern: There's a universal threat, a reunion of various characters, the resolution of some sort of pre-ordained event in time, and often the destruction of the universe itself (although last year's “Death in Heaven” dropped the destruction of the universe part). 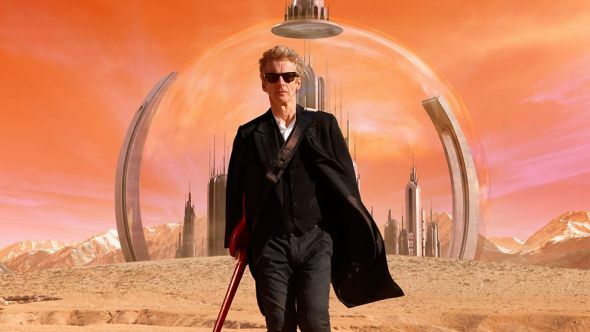 I've commented before (particularly in my review of “The Name of the Doctor”) that there is a perceived need to make every series finale bigger than the one before, as if only bigger can be better. For once, “Hell Bent” moves away from that pattern a little. Oh, most of it's still there as backdrop, but it centres in on a far more personal story than typical of Steven Moffat's finales (with “Death in Heaven” again being something of an exception). Despite its massive backdrop, it doesn't feel bigger. It feels smaller. And that's a good thing. Unfortunately, there are still many things to take issue with in the episode. Like so many of Steven Moffat's stories (especially finales), “Hell Bent” is a mixture of brilliance and annoyance. There are wonderful ideas and individual moments that make me want to clap or cry out in joy. But there are also moments that make me groan. And unfortunately, like so many finales of recent years, all the various wonderful ideas and moments don't hold together particularly well when examined at anything beyond a surface level. As a whole, “Hell Bent” is rather underwhelming—and that's a shame because there are truly some amazing moments, particularly towards the end, where the story almost, but not quite, redeems itself (and in the eyes of many people, including IO9's Charlie Jane Anders, does redeem itself). It's a shame, too, because the two episodes leading into it, especially “Heaven Sent”, are such good episodes. “Hell Bent” does get better on subsequent viewings, something I've found also tends to be the case with finales written by Steven Moffat. Perhaps it's because I know to expect the parts I don't particularly like and can ignore them more easily. A while back, I wrote about the ways people react to spoilers. I think, for me, Steven Moffat's finales are stories where I should just let myself be spoiled in advance, despite my general preference to avoid spoilers. Nevertheless, I will provide the appropriate spoiler warnings here. It's probably best to start with the ending of this one. After all, it's the ending that has garnered the most discussion and the part where “Hell Bent” partially redeems itself. I think I would love this ending if Clara hadn't already had an ending two episodes ago (and for this review, I'll ignore her previous endings in “Death in Heaven” and “Last Christmas”). There is a lot to love about what happens, particularly the way she is able to stand up to the Doctor. The Doctor has a tendency to remove the agency of other characters and make decisions for them—to do what he considers best for them. But while he generally does these things for “good” reasons, it doesn't change the fact that he rarely gives the other person a choice in the matter. This is particularly true of his companions, the people he cares most about. Since 2005, most of the Doctor's companions have not left him of their own free will. And while surrounding events have often left little in the way of choice, it's the Doctor who always takes what little choice there is. 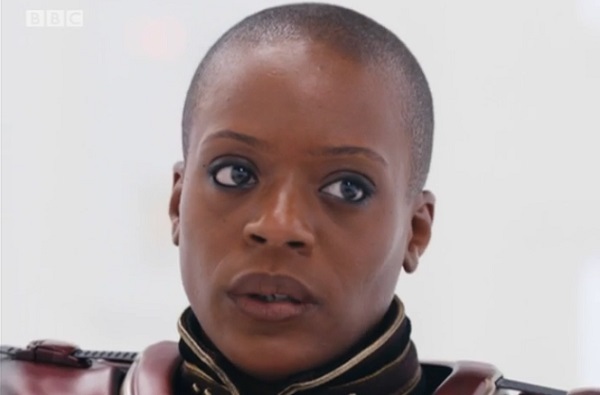 When Rose actually manages to get back after being trapped in another universe, the Doctor just takes her back there and forbids her from leaving again. With Donna, he removes her entire memory of him and of everything she did with him. He does it with the best of intentions—she'll die otherwise—but he gives her no choice in the matter, and never even considers that she might consider his choice worse than death. The Doctor knows best, or so he believes. Of the companions since 2005, only Martha and now Clara have ever stood up to him in this regard and left him on their own terms. This is no doubt part of the beauty of Clara's story in “Hell Bent”. She gets to keep her agency. The Doctor is about to do the same thing to her he did to Donna (though with less of a reason to this time), but Clara stands up to him. She forces his hand. She will get to choose her future, not him. This is a great moment, and frankly, the Doctor needs his companions to do this more often. The Doctor needs to learn that he is not the final arbiter of everything. Alas, my problem with the ending comes from the fact that, ultimately, the Doctor won't learn from this experience. Once again, the idea of actions having consequences is thrown out the window, and as much as I like the individual scenes, I can't ignore that Steven Moffat has once again undone death and rid himself of having to deal with consequences of any sort. In my review of “Face the Raven”, I commented that I couldn't get emotional over Clara's death. This was partly due to Clara being sidelined for so much of Series 9, but mostly because I couldn't trust that she would stay dead. Why get upset if she would just be back in an episode or two? My concerns were valid. Clara is back from the dead. Not only that. She's effectively immortal now and travelling with an immortal companion. She can have countless more adventures before she finally decides to return to her moment of death. 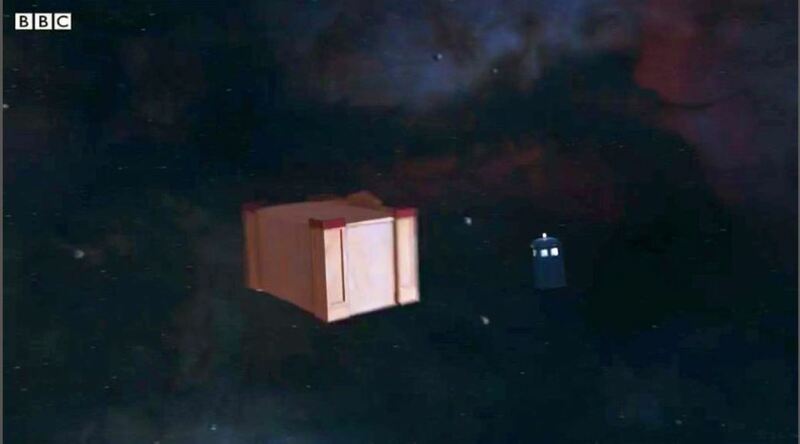 To be honest, the idea of Clara and Me gallivanting around the universe in their own TARDIS is kind of fun. I'd really like it if Clara hadn't already died and come back to life. Okay, technically she hasn't come back to life. She was snatched out of the timestream before her death. This is Clara before she died and, as I've seen some arguments go, therefore is no different than say, a Big Finish audio adventure with previous companions. We're just learning more about her life before her death and about adventures we didn't know she'd had. But it's not the same at all. Narratively, this is still cheating death. This is not Clara an adventure or two before “Face the Raven”. This is Clara a heartbeat before her death. We aren't learning about a few adventures we didn't previously know about. We're learning that she has gained a virtually unlimited amount of extra time before her death—extra time during which she is effectively invulnerable, since the universe requires her death to happen in a specific way. She gets to take as much time as she wants and can decide exactly when that event will happen. 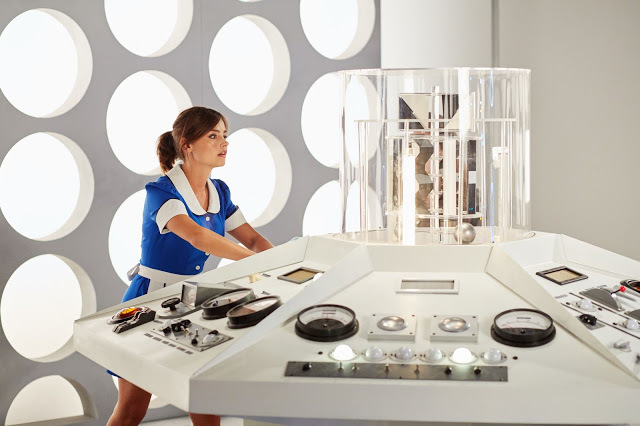 Throughout Series 9, we have been presented with situations where Clara is supposedly becoming too Doctor-like and taking risks that are too great. The series has wanted us to consider her reckless (although I would argue it does a poor job of this). 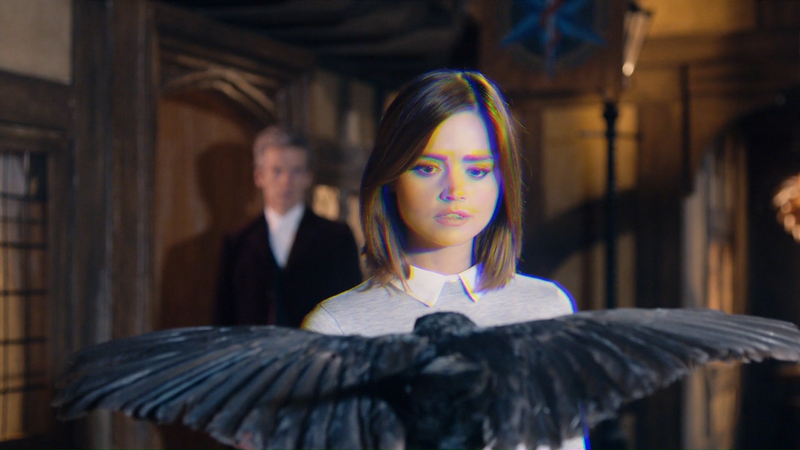 “Face the Raven” deals with this recklessness by having her face the ultimate price for it. She makes a mistake and dies for that mistake. But she also accepts that. She realises that the end has come and she walks willingly into her death, determined to be brave. It truly is a tragic moment. “Hell Bent” undoes all that. It doesn't matter that her death is still to come. Narratively, it has the same effect as bringing her back to life. The tragedy becomes something that the show never has to deal with. After “Heaven Sent” actually tries to deal with that tragedy and the last two series as a whole have tried to be better at dealing with consequences, I find it a particularly odd writing decision to make, and it is definitely a cheat. It's further exacerbated by the Doctor losing his memory. While it does make a good twist on the situation with Donna, it once again removes consequences. We've just watched the Doctor break all his rules just to save Clara. He's willing to risk the destruction of the universe to do it. He not only picks up a gun in the process, but he also shoots someone with it! For the Doctor to lose all memory of why he does all that means that he learns nothing from it all. There are no consequences. And let's not ignore that the threatened destruction of the universe from saving Clara appears to be not all that much of a problem anyway, since as long as she goes back to die eventually, there's nothing to worry about. There are no consequences. 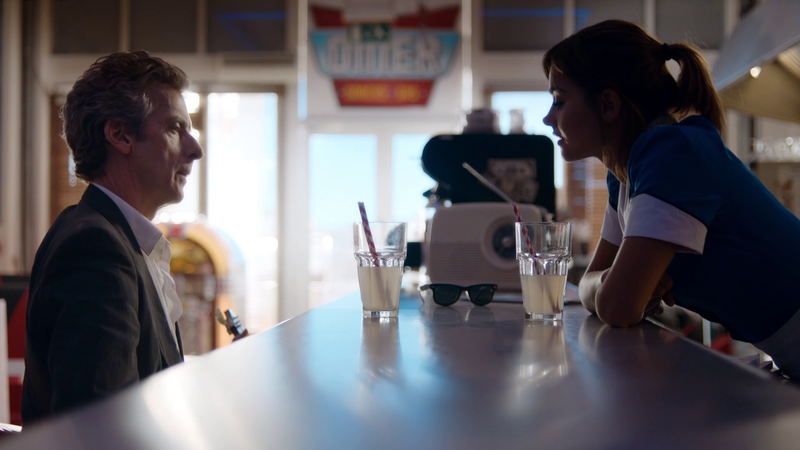 If “Hell Bent” ended with Clara standing up to the Doctor and refusing to let him wipe her memory, then telling him he has to let her set things right by returning to her death right then and there (because we see that the timestream really will be destroyed if she doesn't), I'd love the ending. She'd get to keep her agency and there would be real consequences to everything we have just watched. We would see the Doctor break all the rules to save Clara and then finally learn that he's gone too far, that there are some things even he can't do. It would be a great ending, and even though it would give Clara a little bit of extra time to live, it wouldn't be a cheat of her original death because we would see her go back to it, once again of her own free will—we would not simply be told that she'll go back to it at some future point. To be fair, Doctor Who has never been particularly good at dealing with tragedy. Adric dies, a few tears are shed, and a couple serials later, he's forgotten about. Nyssa watches her whole world die in “Logopolis”, gets a few sniffles for a scene or two, then gets on with life as normal. Peri dies and then it turns out she didn't die after all. But those are all examples from a time when a return to the staus quo was expected by the end of every story. That's not the case any more. I've grown tired of a lack of consequences, and Series 8 and 9 had started to convince me that so had Doctor Who. It seems I was wrong. All that said, there are some powerful scenes between Clara and the Doctor in “Hell Bent”. Peter Capaldi and Jenna Coleman deliver their roles beautifully, and there is some wonderful emotion generated by it all. This is particularly true of the diner scenes. There's a sense of tragedy and sadness looming over them that is captivating, especially on second and subsequent viewings when you already know that it's the Doctor who has forgotten Clara, not the other way around. Even the mild fourth-wall breaking with the Doctor playing Clara's theme (previously just incidental music) on his guitar just adds to the atmosphere. While the ending does have a way of seeming like the entirety of the episode, there is also a beginning to this episode, which involves the return of Gallifrey and the Time Lords, and the threat of the Hybrid destined to conquer Gallifrey and stand in its ashes. It has all the elements of those big, bombastic finales Moffat is very fond of. Unfortunately, it's quite anti-climactic. 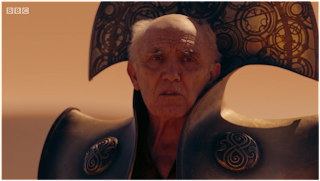 The entire arc of the search for Gallifrey is brushed aside in a few lines of dialogue. The Hybrid is...well...not entirely clear, but apparently not really all that much of a threat. Even the series subplot of the Doctor's confession dial doesn't turn out to be much at all. Apparently, it never had his confession in it as we were led to believe previously. A confession dial is where a Time Lord makes his/her final confession just before dying. So why, when the Doctor was expecting to die in “The Magician's Apprentice”, did he send the dial to Missy? How can he make his confession at the moment of his death if he doesn't have it with him? Missy seems to think it's a pretty normal thing for him to send it to her in advance of his death, so she at the very least seems to think he's already made his confession. Is this some advance plan of the Doctor's to fool someone? Maybe, but the Time Lords certainly aren't fooled by it as they seem to know the dial doesn't contain his confession. I intend to go into more detail about these things in my forthcoming review of the entire Series 9 (EDIT 24 December, 2015: Now available), but in brief, the main problem is that the various strands that have been introduced over the course of Series 9 are mostly pushed aside in favour of getting to the story of the Doctor and Clara. Of course, the story of the Doctor and Clara really is more important and should end up with the greater focus, but this doesn't mean the other threads should simply be thrown away. As I said, it results in something of an anti-climax. It makes the first half of the episode really quite forgettable. It doesn't help that the beginning of the episode is filled with bland characters and a lot of standing around doing nothing. I rather like the stand-off at the barn with the Doctor refusing to talk to anyone until Rassilon himself shows up, but then it just becomes another anti-climax. The Doctor says a few words and Rassilon leaves. Rassilon also has far less character than in his last appearance in “The End of Time”, and it isn't helped by a lacklustre performance from Donald Sumpter. Sumpter has appeared before in Doctor Who and the Sarah Jane Adventures and generally done a much better job, so I was surprised by his performance here. However, to be fair, this role doesn't give him much to work with. Indeed, all of the characters on Gallifrey suffer from not being given much of any personality or development. Only the pre-regeneration General has much of an actual character to him and most of that comes from the performance (and that we've seen him before). The post-regeneration General, on the other hand, does little but give a few orders here and there, and then is basically forgotten about. After the drama of having a regeneration on screen (one caused by the Doctor, no less! ), it seems odd to essentially discard the character. Beyond her initial lines, there is no attempt to examine how she's changed as a person. She certainly does not seem to suffer from post-regeneration troubles like the Doctor, so there could have been a good opportunity here to further explore the ways the Doctor differs from his people. I do like the mention that her male incarnation is the odd one out and that she has usually been female. It makes a nice counter to all the people who argue against a female Doctor by saying that he's never been one before so it doesn't make sense to change him now. It shows that it's possible for a Time Lord who has been one gender most of the time previously can still change to another. The presence of Ohila and the Sisterhood of Karn is entirely superfluous. Why are they there? For that matter, who are they? We've never learned the answer to that question. Okay, obviously I do know the answer, and anyone who's seen “The Brain of Morbius” also knows the answer. The problem is, “The Brain of Morbius” aired nearly forty years ago. The Sisterhood of Karn just appears in “The Magician's Apprentice” and now “Hell Bent”, and viewers are simply expected to know who they are, yet it's incredibly unrealistic to expect the average viewer to be versed in that much Doctor Who history. As it stands, there's no reason in “Hell Bent” for viewers to think the Sisterhood are anything other than another group of Time Lords. 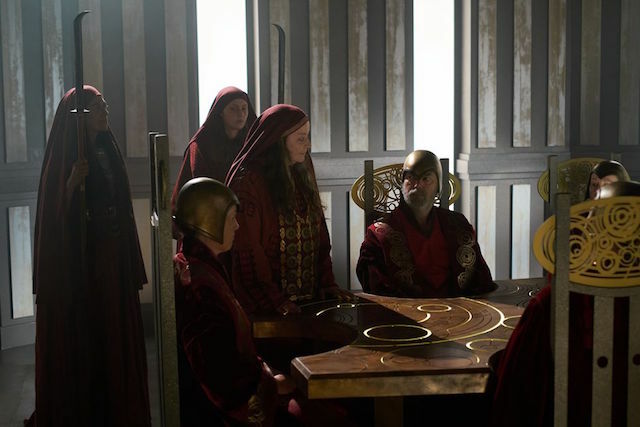 But worse than viewers not knowing who they are, the Sisterhood have no reason to be on Gallifrey and serve no purpose in the episode. They accomplish nothing and don't move the story forward in any way. Me is put to much better use in the episode. Her presence at the end of the universe makes sense and she does have an important role to play in the episode. She also has the benefit of having an established character for viewers to be familiar with. That said, she doesn't seem to have changed much by the end of the universe. Apart from perhaps being a bit more technologically knowledgeable, she seems exactly the same as in “Face the Raven”. Yet previous stories have made a big deal out of her changes, particularly her inability to remember much of her life. Those occasions covered just hundreds of years. After billions of years, you'd expect a bit more. Of course, she'd probably also be unrecognisable (apart from physical appearance) to the audience, so it is necessary to make a few concessions here. Perhaps she's had her memory upgraded in some way by this time? Whatever the case, I continue to really like the character and I think Maisie Williams gives one of her best performances here. As I said, there are a lot of great ideas in “Hell Bent”. 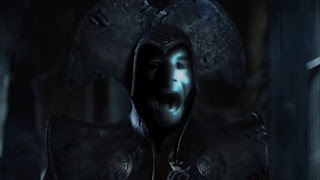 The cloister wraiths are one of them. In concept, they're mysterious and chilling. Unfortunately, in practice, they're dull and uninteresting because nothing is done with them. We're told they're a threat, but we never actually see them do anything other than slide along. Doctor Who has a problem with telling rather than showing these days, and the cloister wraiths are a big example of this. They never actually pose a threat as they never do anything against the Doctor and Clara or anyone else. I do like the Dalek crying, “Exterminate...me!” The Dalek becomes a sympathetic character—which is a great twist on what Daleks are and creates a sense of fear when one thinks about just what could cause a Dalek to become like this. It's a shame we never get to see what has reduced the Dalek to this point. I think perhaps one of the biggest problem with “Hell Bent” is that it is simply too long. It is a full hour, an extra fifteen minutes over the usual episode length. But it doesn't really need the extra time. Much of that time is filled with unnecessary arguments with Time Lords that go nowhere. There's a fair amount of expository dialogue as well. The episode is beautifully directed by Rachel Talalay, but unfortunately, even the best direction can't save many of the scenes from just dragging along. Cutting about ten minutes would have made the pacing much better. On the whole, I'm just rather underwhelmed by “Hell Bent”. There are good, enjoyable moments in the episode, even some amazing ones. But they're just moments—set pieces—joined together by a lot of filler and anti-climaxes. Resolutions to ongoing arcs are unsatisfying because they're introduced and tossed aside so quickly. There is a bitter-sweet, but triumphant ending that could have been brilliant if it didn't rely on the undoing of previous events and the discarding of consequence. “Hell Bent” really could have been so much more. It should have been so much more. However, it's not terrible, and it is, at least, fairly entertaining. All the gushing over this made me shake my head and wonder if I was missing something! I agree with many of the points you made and was pretty much underwhelmed by the whole thing. I don't have any particular axe to grind with Moffet/Capaldi/Coleman . . . I sumply haven't enjoyed them for the last 2 seasons and you summarized it neatly. Glad you liked the review! I, too, have been a bit perplexed by the praise the episode has received.